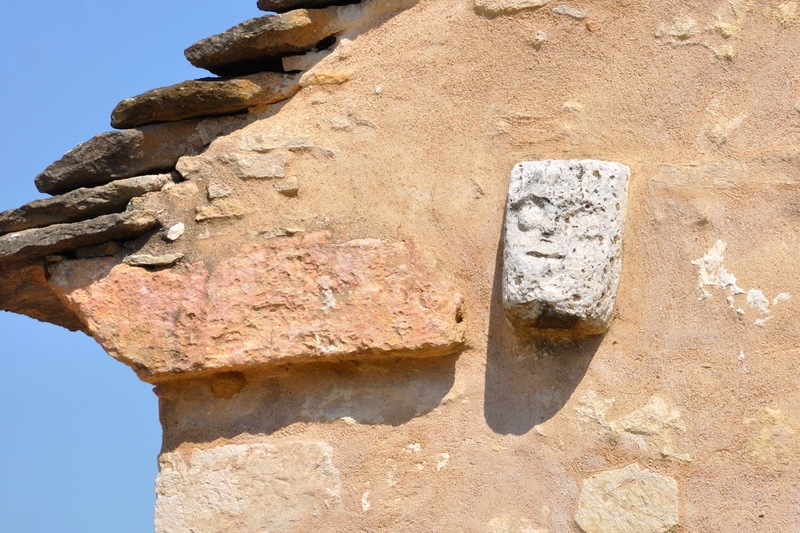 Recently we attended a lecture with the subject “le culte celte des têtes coupées” with as a starting point a few sculpted heads embedded in the walls of the Romanesque church of Santilly. The origins of these sort of sculptures is obscure, and is often attributed to the Celts during the Gallo-Roman period. The lecture was trying to establish a link between these heads and head hunters or “simple” beheadings, from the head hunters in Papua New-Guinea via Indian tribes in South America to Greek and Roman human sacrifices. The whole story had “Chariots of the Gods” by von Däniken written all over it. The lecture still left me with the question what is the background of these sort of sculptures. And here I am not talking of the sculpted modillons acting as consoles at the edge of a church roof (e.g. Saint-Laurent-en-Brionnais). They sometimes show different, often grotesque heads, but also depict animals, geometric patterns, etc. These sort of decorations do not seem to be illogical when a sculptor wants to decorate relatively small pieces of stone. Another example is the tympanum of the church in Ormes. That is, again according certain sources, a remnant of Gallo-Roman (in origin Celtic) devotion, which existed for quite some time parallel to Christianity, certainly in the French country side. This head is supposed to be the god Sucellus, the god with the mallet. And for an agnostic contemplator there is not much difference between a Majestas Domini on a tympanum and a God with a mallet. I am actually more intrigued by the solitary heads, seemingly without any logic attached to the walls of churches or bell towers. 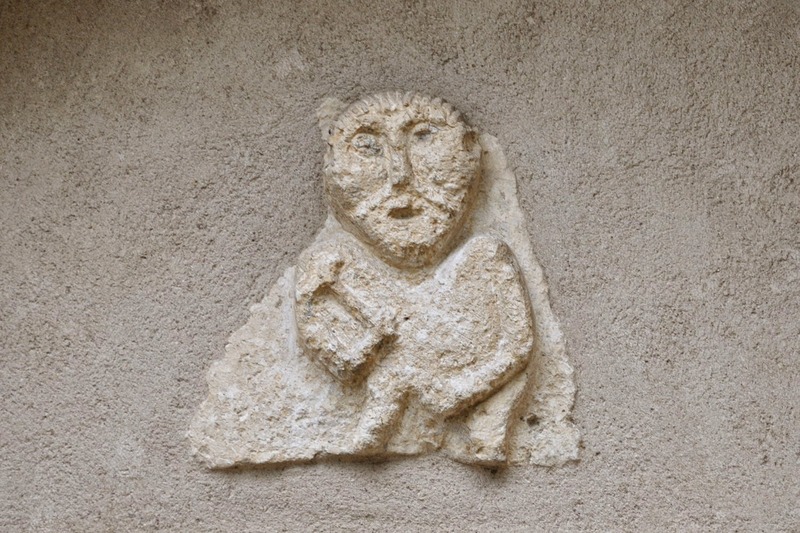 An interesting example can be seen on the bell tower of the church in Saint-Gengoux-le-National. 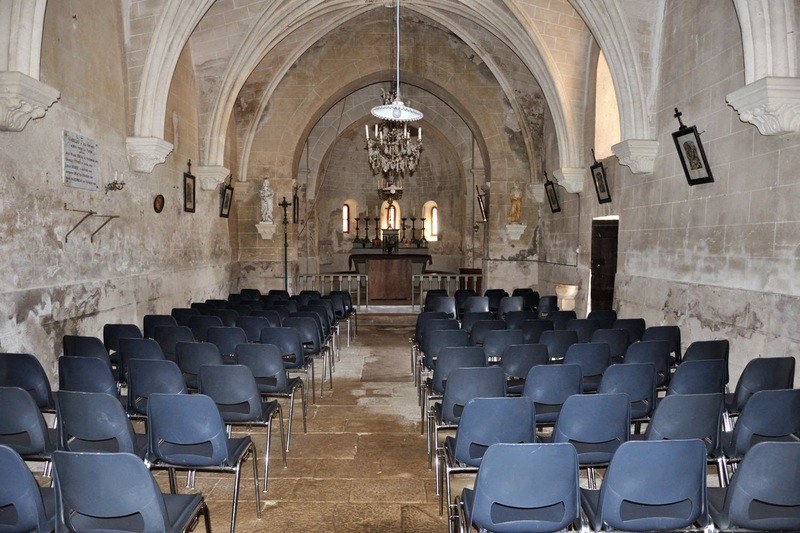 One can find them on a relatively big number of Romanesque churches in Saône-et-Loire. He who can explain their origin and background, let him speak up…. Could you open that door, please? In the past we have had our share (as described in a number of previous blogs) of problems with accessing a church. 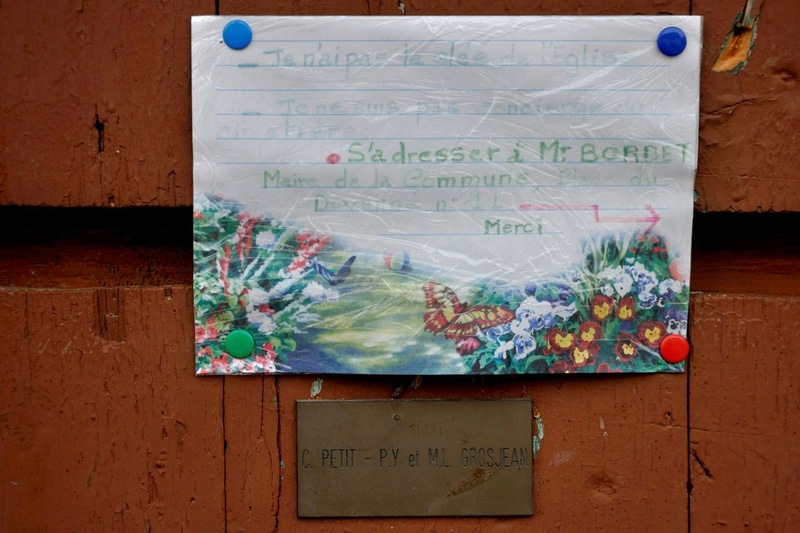 However, once we had the name of the person holding the key (the mairie, the sexton, someone living next to the church) we usually obtained the key without any problems. On the other hand, there must be people randomly ringing someone’s doorbell near the church asking them whether they have the key. And that not everybody is happy with these unsolicited visits is clearly shown on the picture below. Chazelle church is normally open, although Mme S. who keeps the key and usually opens the church door in the morning, sometimes forgets or might be a bit on the late side. 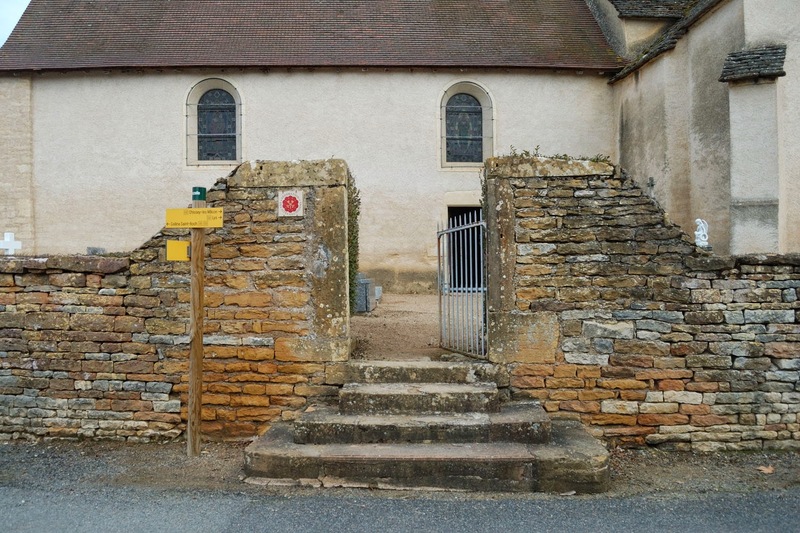 And although Chazelle church is a very charming one, to say that hundreds of tourists are flocking in day in day out to visit the church is a bit of an exaggeration. The second sentence is a bit odd. The church yard has two gates, but neither gate has a lock. And what sort of people, other than the one and a half tourist per month, would be ringing the door bell opposite the church regularly? The only people I can think of are Taizé goers. 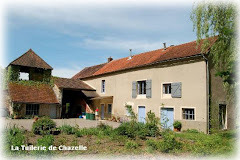 Despite the fact that they have two churches in Taizé at their disposal one regularly encounters some kids, often but not always rather unworldly and zombie-like, in the churches, of Ameugny, Chazelle, Bray and even in Cormatin. They take possession of those churches as meditation centres. And there are far more of those kids around than the aforementioned one and a half tourist per month!